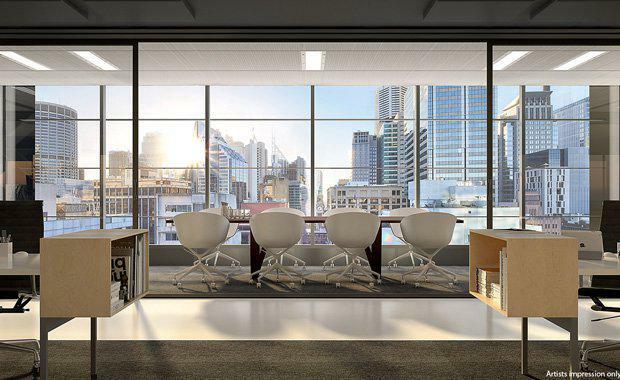 Investa has announced that construction has started on the development of Barrack Place at 151 Clarence Street, Sydney making way for a new, next generation A-grade workplace. The 18 storey, ~22,000 sqm building is designed to achieve a 5-star Green Star and a 5-star NABERS Energy rating. Demolition for the existing ~16,000 sqm B-grade building commenced in March following the appointment of Built as Main Works Contractor overseeing the demolition, excavation and construction of the office development. An extensive tender process began with an Expression of Interest in October 2015, and resulted in a shortlist of four contractors. Each party was then issued with a Request for Information document and a rigorous evaluation process followed by a panel comprising client and project manager representatives. Shen Chiu, Senior Development Manager, Investa said: “We are very pleased to announce Built as our Contractor and partner for the delivery of the Barrack Place office development due for completion in the third quarter of 2018. Built’s track record as an experienced first class contractor will see the building’s design, by Architectus, translate to a striking new building for the city skyline and lend itself to the revitalisation occurring in this traditional ‘warehouse’ district of the CBD. Barrack Place is owned by Investa Office Fund and strategically located in the heart of the Sydney CBD and links the traditional core with the western corridor. Just one minute walk from Martin Place, it will provide a new inner-city precinct to work, meet, entertain or relax in.